Explore our Langheinrich color spectrum as well as your product diversity. 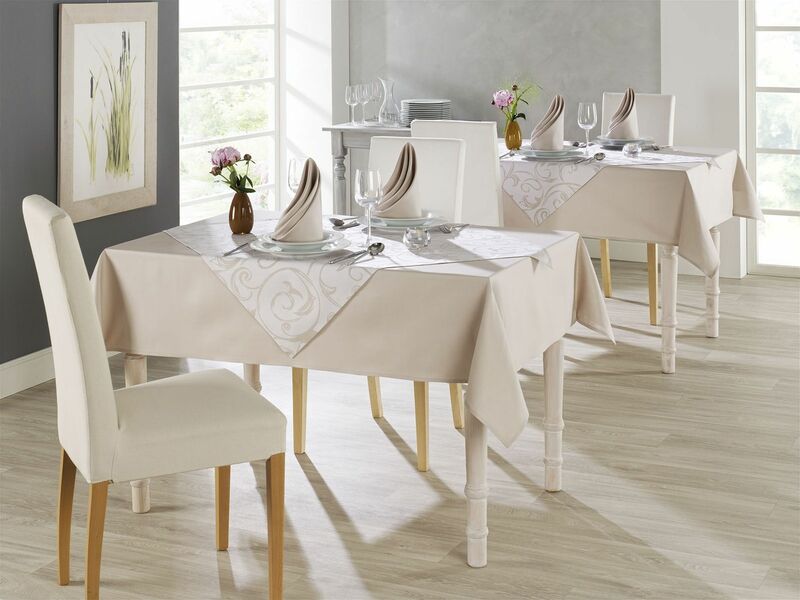 Our unique reversible tablecloth transforms your table in no time. Through special weaving procedures, there is no limit when it comes to flexibility, size, quantity or color.